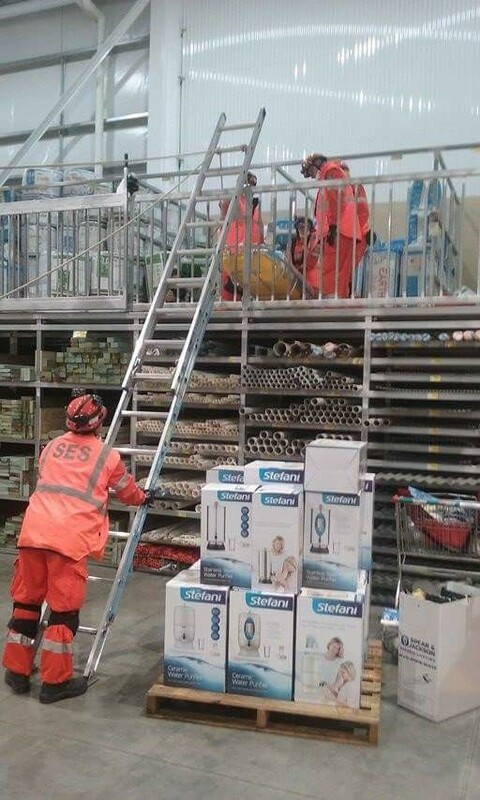 The Bunnings store in Busselton has recently been undergoing renovations, while the renovations have been taking place, part of the roof has collapsed. The store has been evacuated to the best of the abilities of the staff in accordance to their policies and procedures, at the emergency assembly point the manager of the store has noted in his headcount of his staff members that there are 4 missing. Searches of the car park and surrounding areas have produced no sign of the missing staff members. There are also unknown numbers of members of the public who are thought to be not among the people in the car park. One lady is missing her husband who was separated from her while she looked in the gardening section and he was in the power tool section, the last time she saw him. She has been taken to the hospital with other walking wounded but has suffered a severe head injury and she was quite hysterical so the accuracy of her information cannot be relied upon. The confirmed member of the public who is missing is named David Patterson he is aged 85 years old is 5ft11 with blue eyes, grey hair and balding. Wearing blue denim jeans, a white and grey shirt and a black and red jacket.? He was also wearing a red and white cap. He is asthmatic and suffers from arthritis and uses a wheelchair which he can propel himself to mobilise, his wife has his inhaler in her handbag. Search teams have a definite 5 missing persons to be accounted for, and an unknown number of other casualties who may have been shopping in the building and are missing. 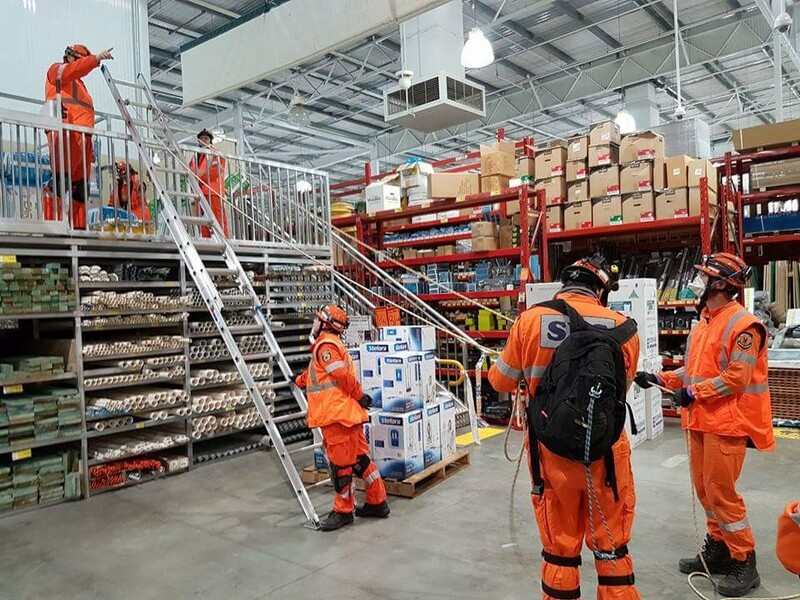 As Bunnings has night work currently being carried out, we played the scenario that other teams had been in, secured and shored up building as required and set up generator power for lighting. Also put into the scenario is that there are reps from power, water and gas companies and the fuel station next door had implemented their emergency shut down procedures. Team leader was drawn out of a hat of those members in attendance that have completed the USAR CAT 1 course. 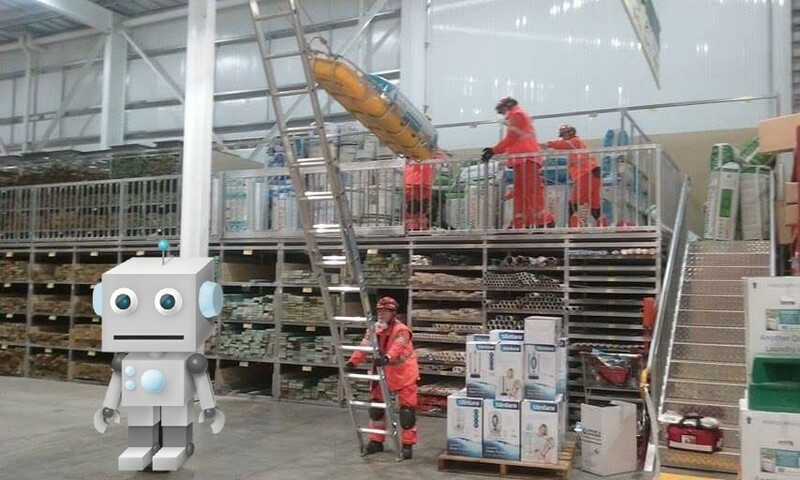 We then deployed from the unit to Bunnings and initiated a search of all the isles and areas within the building. 4 missing staff members and 2 members of the public as well as 3 children were located and assisted out of the building. Each person had a role to play with varying levels of injury. We also had our rescue dummy dressed up, and he was a deceased person to be found. One staff member was located on a secondary level with suspected spinal injuries, unable to move or walk. The stairs to this level were obstructed and not able to be cleared. At this point we utilised the ladder hinge method of transferring the casualty. Overall the training was a great learning experience, for members yet to complete the USAR course, members who are not team leaders given the opportunity to lead and learn from that, and experienced members to offer their knowledge and guidance throughout the exercise. We are building and growing an amazing relationship with Bunnings Busselton, who is dedicated to bettering the community at large. And of course our friends and family who often play victims and casualties for us in these training exercises.